Sunday Riley Luna my life changer! Been using it for the past month and my oh my, it's a miracle product. At first the price tag kept on putting me off, but luckily I have an amazing boss and she have given Luna to me as a gift. Did I tell you that I love my job?! 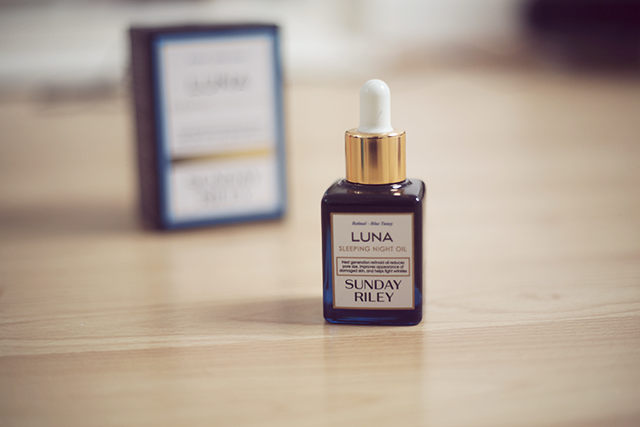 Luna Sleeping Night Oil has lots of mix opinions around bloggers, they were stopping me from actually buying something so expensive. Luna comes in a glass bottle with a cool applicator. It's blue in colour, but once your skin absorbs the oil, it's becomes clear. I had a chance to experiment with fair amount of oils and most of them just sat on my skin, without absorbing into the skin, so in the morning I kept on waking up with an oily face. 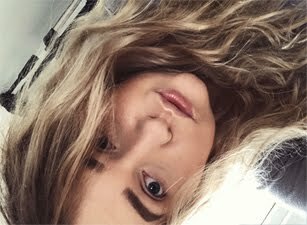 During colder months my skin gets really dehydrated, finally I found something that normalised my skin again! Luna leaves my skin feeling really soft, I am too young to comment on the fact if it's get rid of wrinkles, but my natural fine line wrinkles around the eyes (they appear from smiling all the time) have minimized. What else can I say, I think it's worth the price tag! Let me know what you think of it. Would you spend so much on skincare product?